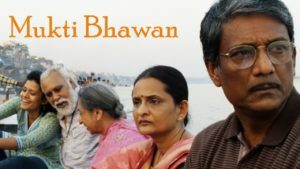 Mukti Bhawan (Hotel Salvation) is winning Awards all over the world making it India’s highest award winning feature this year with a tally of 12 already, including Two National and 10 International Awards. The film is releasing theatrically in over 40 countries worldwide and is currently running in UK and Italy. It has been invited to over 50 International Film Festivals around the globe after a fabulous World Premiere at the prestigious Venice Film Festival 2016, where it not only received a 10 minute standing ovation but was also honoured with the XXIIIrd GRAND PRIX “ENRICHO FULCHIGNONI” 2016 Award by UNESCO and the UNESCO Gandhi Medal to its Director Shubhashish Bhutiani, a first for an Indian who also received his second National Award for the Film. 17 queries in 0.774 seconds.